A sunburn is just another form of inflammation. By eating anti-inflammatory fruits and vegetables you are creating an environment within that is more able to handle the effects of the sun’s rays. Consider it a delicious reason to indulge in those gorgeous and abundant fruits when you’re spending the day at the beach. They support your system and increase your ability to enjoy the sun and all of its power. Some of our favorites are tomatoes, which are high in lycopene (even higher when cooked); matcha, which contains high levels of antioxidants; and leafy greens, which are abundant in beta carotene and folic acid. So pack your picnic with an abundance of vegetables, fruits and iced matcha and hit the road. For your outsides, we prefer the approach of staying out of the sun during its most intense hours. If you can’t, we suggest wearing a large hat and clothing that covers you up. 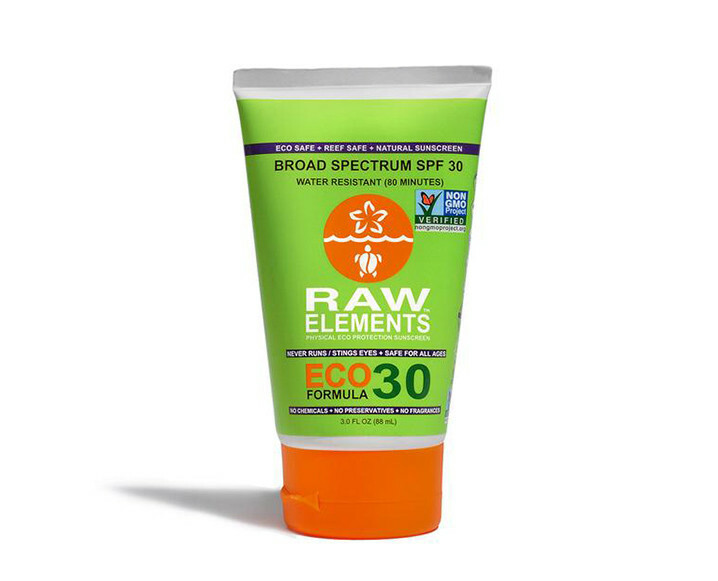 We also love a physical barrier sunscreen. Look for one that contains zinc oxide as its main ingredient. Some of our favorites are Raw Elements, Kypris Pot of Shade and EiR Surf Mud Pro Stick. We also love In Fiore Soleil Fleur as a pre-sun treatment. This unique and special product is loaded up with antioxidants – it doesn’t act as a sunscreen, but will support your skin pre-beach. Enjoy your day in the sun and remember that its healing power is profound. Just make sure you’re prepared and you’ll feel amazing. Share the post "Our Natural Guide To Sun Protection + 4 Sunscreens We Love"
Am I right to assume all these products are safe for marine life as well?